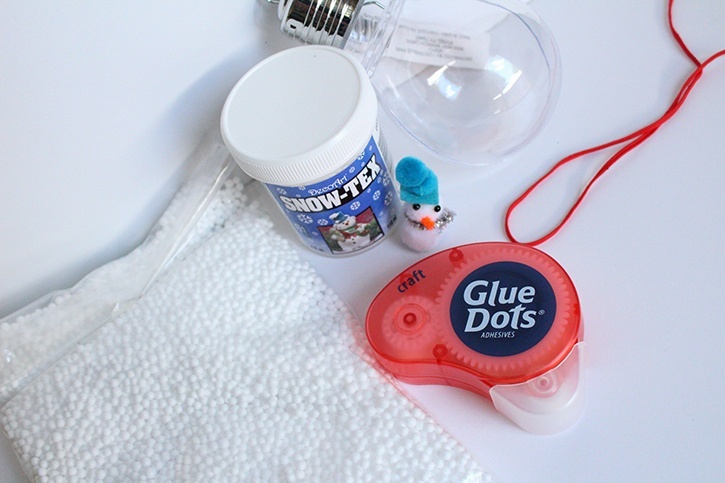 Let it snow inside your home this season with Glue Dots and a lightbulb. Find out how to easy it is to make your very own snow scene to display year after year. 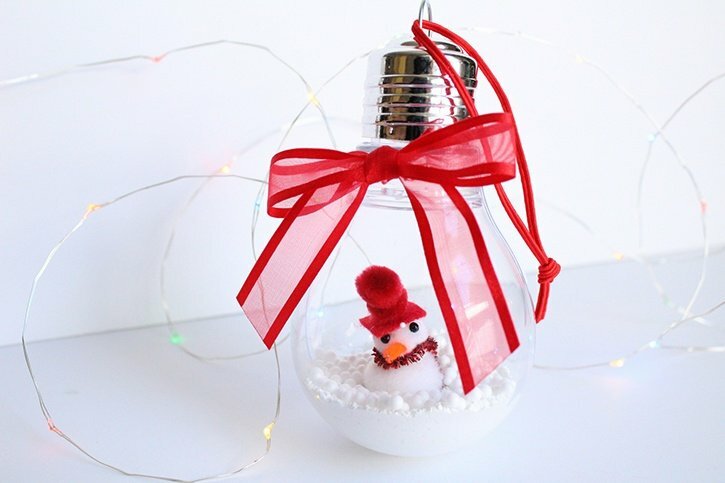 Take apart ornament and apply 2-3 thick layers of Snow-Tex in the bottom of each side of bulb. Allow Snow-Tex to dry after each layer. 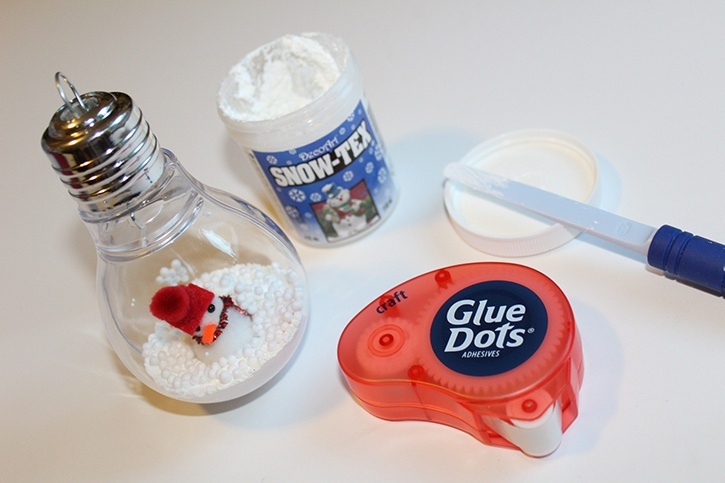 Use a Craft Glue Dot to secure snowman to the dried snow. Pour desired amount of foam beads into one side of lightbulb before putting it back together. Make a bow with ribbon and attach to lightbulb with Craft Glue Dots. Insert another piece of ribbon through ornament's loop and tie a knot to hang on tree. Tip: Make it your own by choosing a different mini figure or ornament.